Jo of The Blond Travels grew up in Poland and lived in the UK for 10 years. 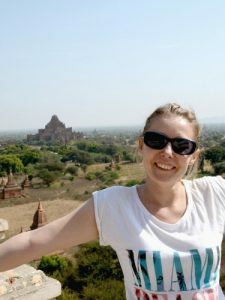 Then, without having done much planning, Jo quit her job in London and moved to Thailand. Find out how she fell in love with travel and created her new lifestyle in this interview! You caught the travel bug the first time you went to Thailand. What was it about this trip that made you want to travel more? The sights, smells and tastes of Thailand stole my heart, but I was also taken away by the freedom I felt while travelling. We didn’t really have a schedule. We went to Bangkok first and then decided where to go next on a whim. I didn’t know that you could travel like that. Some of my friends in the UK did backpacking and I had no idea how they could afford travelling so much. During that trip I realized that countries like Thailand are really cheap. 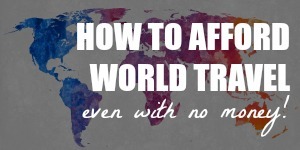 Plus, you could stay in hostels and dorms and still have a wonderful holiday. I finally felt like doing something else rather than being stuck behind a desk. At 30, I understood that in my 20s I should have lived my life in a completely different way, that I took life too seriously when I really should have done more travelling, have fun more. The best travel gifts are the ones that will keep on giving. 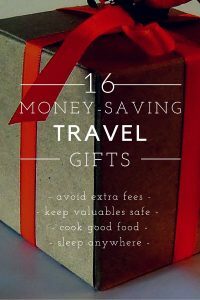 All the travel gift ideas in this post are items that will — directly or indirectly — help save money while you’re on the road. 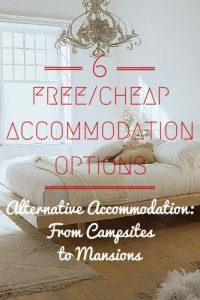 They minimize airline fees, keep your devices running, reduce your risk of being mugged, cook you great food, and help you sleep in uncomfortable places (like on that overnight bus you’re taking to save one night’s accommodation costs). Hope you’ll find some inspiration here! Haneda Airport is located outside Tokyo city limits. But don’t worry; getting from Haneda Airport to Tokyo is relatively quick and easy (compared to if you were to land in Narita and trying to get into town). 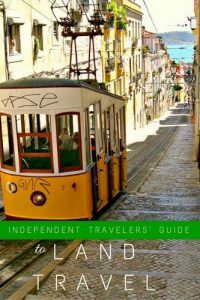 In this guide, I’ll go over your options and how much they cost. Tokyo on a Budget: From $60 a Day! Japan has the unfortunate reputation of being an expensive travel destination. Before my trip to Tokyo, someone had even warned me that one decent meal there would cost $100. Yes, seriously. But no, I didn’t have a single meal that cost $100 while I was there. There were plenty of budget meal options in Tokyo. 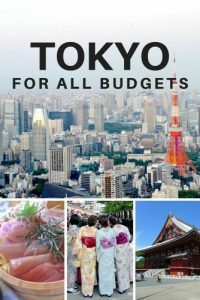 It’s true that Tokyo is not cheap, but it’s comparable to other big cities in developed nations. A trip to Tokyo doesn’t have to cost much. So how much does a trip to Tokyo cost? When you land in Narita Airport (NRT), you have a long trip ahead of you still. The distance from Narita Airport to Tokyo city is about 80 km. 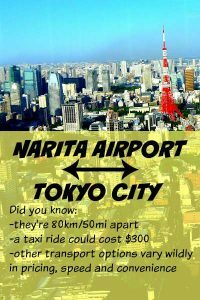 From Narita, you’re still one to two hours away from downtown Tokyo, so you need to figure out how to get from Narita Airport to Tokyo beforehand. To make matters worse, cabs are insanely expensive in Japan, so you probably wouldn’t want to take a 2-hour ride in one. You can either take a bus or a train to travel between the Narita or Haneda Airports and Tokyo, but there are multiple options within these two broad categories. In this post, I’ll show you how to get from Narita Airport to Tokyo (and from Haneda Airport too) and how cheap/convenient each option is. 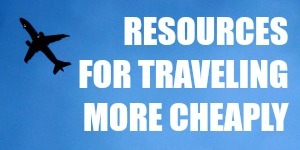 Looking to spend less on your next trip? Skip the hotel, and give Airbnb a try instead. Airbnb is an online platform offering properties that are often much cheaper than hotel rooms — and there are options available for every budget. If your first priority is saving money, you can opt for a dorm-like shared room. On the other hand, if you can afford to splurge, Airbnb also offers fantastic deals on luxury accommodations. The booking process can be a little tricky, so check out the following tips for a smooth Airbnb experience, including tips for navigating the site so you find exactly what you’re looking for. Click here to read the rest of this article on Smartycents. Despite its futuristic image, Japan is pretty old-fashioned when it comes to payment options. Before I traveled to Japan, I had already read that very few places accepted cards there, so I was fairly prepared, but I was still a little taken aback when I actually got there. 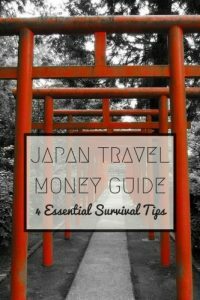 During your trip in Japan, you’ll need cash to pay for practically all your expenses. Here are a 4 essential tips (+ one bonus tip!) to help you survive without the use of your credit cards in Japan. Priceline bidding is one of the best ways to score hotel deals. However, there are some tricks you need to learn to maximize your savings. 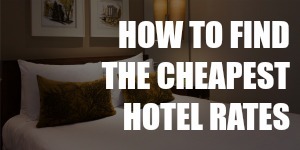 Previously, I wrote a post on the basics of Priceline bidding strategies. 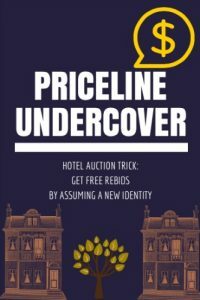 To help you see how it works in real life, I also documented every step of my bidding process in another post on how much to bid on Priceline. Sounds complex with all the safe zone stuff etc these days most people have more than one email address and I’m sure in the past I just changed the email address to restart the bidding process? So…is there an easier way to get extra bids on Priceline? Read on to find out!